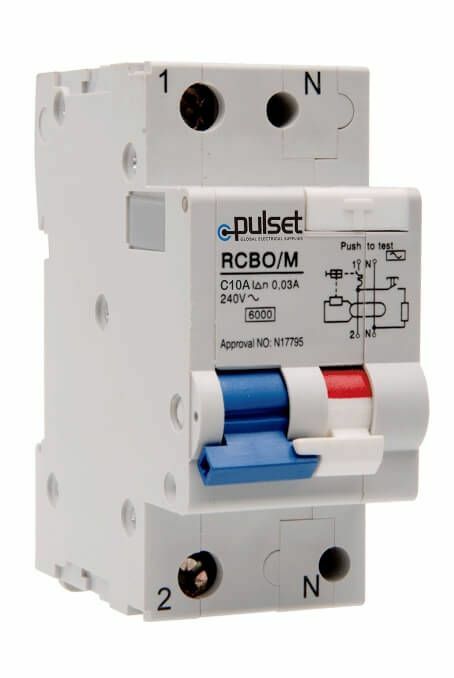 Complete 6kA din rail 2 Pole mount RCBO, with a trip rate of 30mA and automatic cut off on overload current and short circuit. 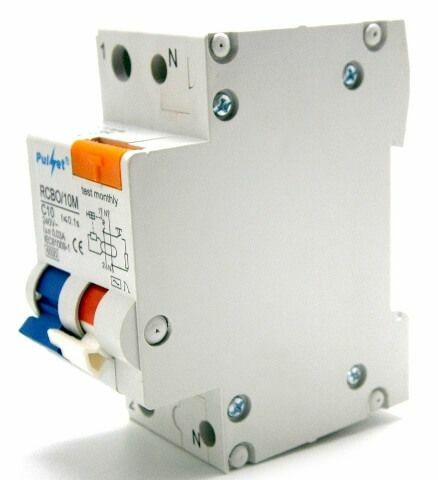 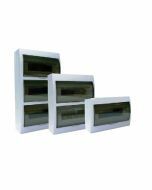 Available in 10, 16, 20, 25, 32 & 40Amp. 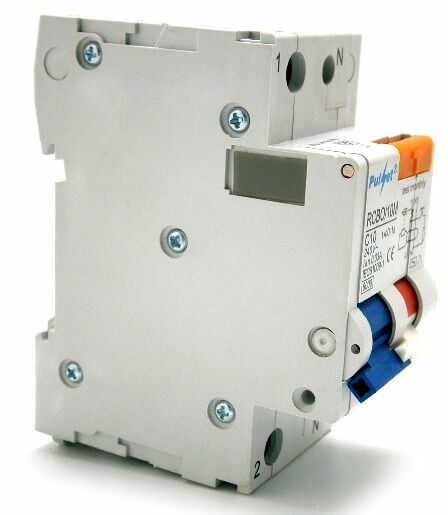 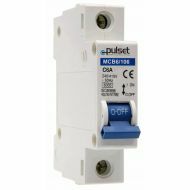 Pulset’s range of 2 pole switching residual current circuit breaker with overload protection, safeguarding against the effects of the earth leakage faults, thermal overloads and short circuit conditions are available in 10, 16, 20, 25, 32 and 40A. The RCBO device is a combined MCB and RCD in a single device. 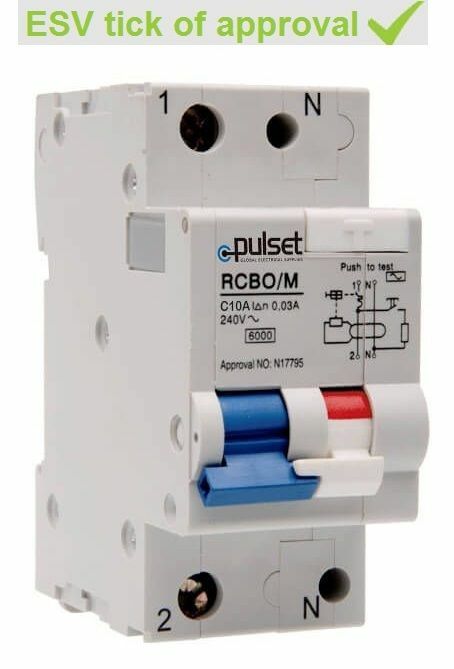 The RCBO will open a circuit automatically in case of an earth leakage fault greater than or equal to in. 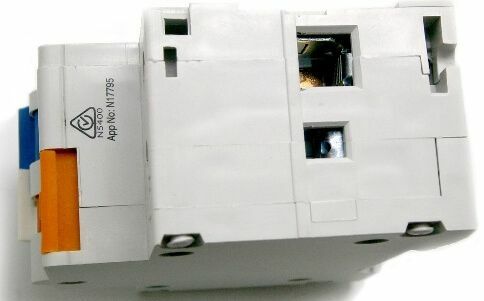 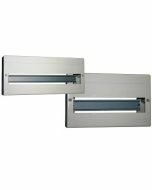 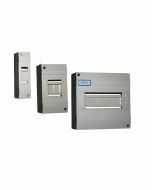 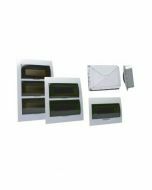 The split indicator handle allows the on site engineer to instantly recognise if the device has been tripped due to short circuit overload or due to an earth leak fault.